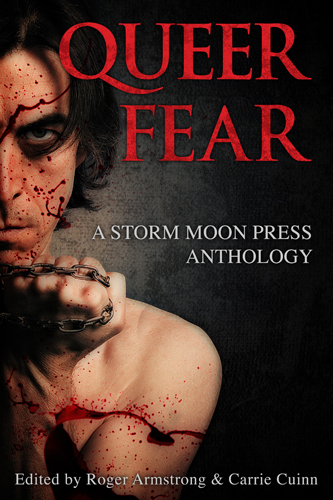 The Queer Fear anthology is out, and with it, our newest short, Matthew Powers Lives! Abandoned buildings are places where anyone can feel a little bit like an archaeologist. I guess most people have a curiosity for the past, for others’ lives, and rummaging through old, forgotten rooms is often as close as we can get to catching a glimpse of the times past. As a child, I often visited my great grandparents. They lived in this old, pre-war country house, complete with a Holy Mary figure under the slope of the roof and a cool cellar under the porch instead of a refrigerator. It had no plumbing and the water had to be taken from a well outside. Now that I think of it, I hardly understand why they wouldn’t install all the modern appliances like their neighbours, but at the time, I was fascinated. To a city kid like me, it was like a place from another world. The house seemed so small, because half of it had been locked away after the children moved out. The two spare rooms I eventually got to see were cold and with the 1930s decorations, looked like one of those time capsules people lock away for a hundred years for their ancestors to open and get a glimpse of the past. The first time I went into a building that was actually abandoned, it didn’t feel homely at all. No, it was like another planet: huge, empty, with many corridors and dark corners. It was a paper factory. Completely empty save for a few piles of cardboard that reached all the way up to the ceiling. There was a tall chimney, at this point housing a tiny tree on top and some moss and close by, an abandoned villa I scavenged along with some neighbourhood kids, careful not to fall into the huge hole in the middle of a room on the first floor. We were running around inside, playing Scooby Doo and co. Investigating a haunted house. Best time ever. Who cares about health and safety anyway? For a kid (or even an adult, if you’re like me), abandoned buildings and old cemeteries are just as attractive as some fancy ruins, which kind of explains every child’s dream in my neighbourhood used to be (maybe still is, who knows?) to get into an odd, old house, left among modern apartment buildings without explanation. Its doors and windows are bricked-up, which produced gruesome stories about bodies of the last owners being left inside. In open coffins. In the park across the street from where I used to live, there are plenty ruins of houses and an old funfair hidden between the trees, where passersby theoretically aren’t supposed to go (but come on, that surely can’t include kids). Those places have often captured my imagination and I originally wanted to talk Kat into using this place as the setting for our clown gangbang short – Clown’d. I’m sure its time will come. Instead of a ruined funfair, we have an abandoned asylum in Matthew Powers Lives!. Creepy places. What associations do you have with an abandoned asylum? Lobotomy. Icy baths. Forcible confinement and feeding. Patients who are being hospitalized because of eccentricities or unusual sexual appetites. If you don’t share my anxieties, a marathon of American Horror Story: Asylum should do the trick. Matthew Powers Lives! is a ghost story, so just imagine what happens when the demons locked in old walls come alive to haunt poor Matt. As for me, time to look through my “Chernobyl” folder and once again plan a trip to Ukraine, contemplating why Pripyat is a ghost town and why it fascinates so many people. It reminds me of the weird feeling I got when driving through the ghost towns in post-war Croatia. As fascinating as time capsules can be, it is hard not to think about why they had been left.